It’s that time of year when the leaves on those deciduous trees start to lose their chlorophyll and go from green to various hues of yellow, orange, red, and brown. 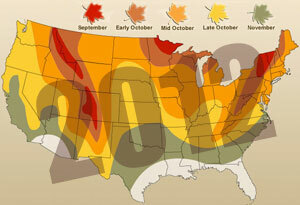 Lots of maps appear across the Internet to guide you to the best spots for a bit of “leaf peeping.” A wonderful pastime. But here we are talking about a different kind of leaf peeping – taking a good gander at those tea leaves after they’ve steeped. It can be quite an eyeful and avoids all those extra miles on your car’s odometer. One thing you will note is that the colors of the tea leaves shown here are rather Autumn-like in their hues. The top one is a tippy black tea with coppery color to the leaves. The middle is Dragon Pearls Green Tea showing those “pearls” fully opened after two or three infusions and sporting a bright yellowish green hue. The bottom one is Spring Pouchong Tea, a lightly oxidized oolong (although some consider it a green tea) with a mix of those small tip leaves and larger ones from further down the stem (but not too far) and displaying a bright green (kind of like a tree that is resisting the call of that time of change). One thing is for sure: you don’t get to leaf-peep with a bagged tea, especially one filled with tea dust. So every now and then go for some loose leaf tea and an infuser or strainer, like one of these. It’s a bit more effort, but will put forth a bounty of tea time pleasure that the bagged teas can’t. Or is that just the artist in me talking? Enjoy the leaf peeping at your next tea time!